We rely heavily on sponsors and donations to cover a significant amount of the cost of putting on this event. There are different levels of sponsorship available, and we are also in need of race day supplies, equipment and volunteers as well. 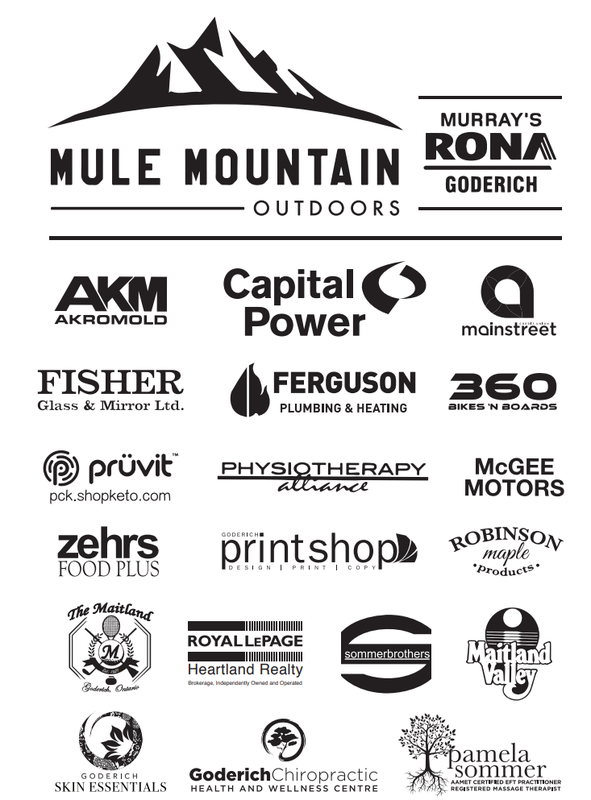 If you are interested in becoming a sponsor for the 2018 Goderich Triathlon, please email Pam Sommer at pam@racehuron.com or by phone at 519-440-6877.